A story in the New York Times this past week is about a new documentary film that was originally going to be screened at the Tribeca Film Festival next month. When I first read the piece, I was mad. Turns out I wasn’t the only one. After others complained, the film was pulled from the schedule. Let’s review what happened, and why this is important. The background is that the film is about the anti-vaccine movement, produced by the doctor who originally wrote papers on the subject many years ago. Thanks to the actions from the festival, Andrew Wakefield is now more infamous on the topic. His paper was initially published in the British medical journal The Lancet and later retracted. But that hasn’t stopped him, and his latest action was to turn to being a filmmaker. The issue that I see is that the anti-vaxxers, as they are known, is a dangerous group. By refusing to vaccinate their kids, they are putting their lives and their children’s at tremendous risk. “Part of the problem is that our parents have seen polio,” as my friend Dr. Patricia Boiko told me after she read the Times story. Boiko has both an MD and an MPH and is also a documentary filmmaker, so she can speak to several aspects here. By the way, Tribeca rejected one of her films, but let’s talk about the public health aspects of the anti-vaxxers. My dad actually had a light case of polio when he was a child. And back then, when the vaccines were first introduced, you didn’t have any choice: “We were lined up in school and given the shots. There wasn’t any parental consent, there was such a push to vaccinate everyone back then,” Boiko said. Since the 1950’s, the vaccines have been tremendously effective, and now it is rare to know someone who has contracted any of these diseases. As a working clinician, she sees numerous kids who haven’t been vaccinated. “It is scary that people aren’t vaccinating their children against Rubella (German Measles). They are correct that children who get Rubella usually do fine. However, if they become pregnant and get Rubella before they even know they are pregnant, their child can be born with deafness, blindness and severe heart problems. I have seen cases of measles with encephalitis that causes brain damage as severe as autism. We saw children in Cambodian refugee camps die from measles. This is why I am especially fond of the MMR (Mumps, Measles and Rubella) vaccine because I hate the associated diseases. Plus, three vaccines in one – what more can you ask for? You can bet that my own kids were immunized against everything.” These days, kids get more than a dozen shots in their first year. Part of the reason why the anti-vaxxers have taken hold is that “Autism is such a horrible disease, and every parents’ fear that their child may contract this. I get why these parents want to do anything for their kids, and why they don’t vaccinate. We certainly don’t know what causes autism,” she told me. But as the population of non-vaccinated kids increases – especially in the States and other countries where these diseases have been almost eradicated – the consequences are dire. Disneyland had an outbreak of measles, and now some schools are allowing non-vaccinated kids to attend kindergarten. And if parents travel overseas to countries that don’t have universal vaccinations they could put their kids at further risk. So that is the science and the medicine. Now what about the film itself? Boiko agrees with numerous other doctors that Wakefield has been so discredited. “Parents are going to get burned if they buy into his propaganda. But there could be some good to come out of all the attention with this film,” she says. “It could spark some interest in autism research. Initially scheduling the film didn’t surprise me as a physician, but it made me mad as a filmmaker. I’m talking to you, DeNiro!” she says. Apparently she wasn’t the only one. Another documentary filmmaker quoted in the second Times article called the Wakefield film a fraud and “described it as a momentous and significant moment for documentary film making.” Still, I am glad the movie isn’t part of the festival, and maybe now we can focus on the science. I’m one of the people old enough to remember polio. I lined up for the shots, then for the oral vaccine a few years later. That was in Los Angeles. Across the country in Baltimore, my wife had the same experience. Polio vaccines were truly universal. No opt-out. You just went. And other vaccines – if you didn’t have your shots, no school. Just like that. Even after we moved to conservative/crackpot Orange County, you had to have your shots. Religious exemptions? No way. Even the John Birch Society people, precursors of the teapartiers (and funded by the Koch horrors’ father) allowed vaccines. Thanks for calling attention to this matter. It is disgraceful that people will support issues with no medical foundation and that harm others. Now, please find a way to enlighten Jim Carrey. He used to make funny movies, but now that he has lost his mind, humor has abandoned all of his messages, especially when he rants against vaccination. Vaccines are very safe relative to almost any other medical treatment. However, it is quite difficult to get vaccines approved in the US and even harder to get someone in the US to manufacture them. The only real buyers tend to be governmental in nature, and they don’t want you to profit off them as a business. Those producing the machines had the problem a while back that they were sued for all sorts of things. Just the cost of defending those suits was so prohibitive that US companies decided making vaccines was a bad idea. Remember a few years ago when we couldn’t get flu shots? That’s because we have very little home grown production capacity for vaccines. The vaccine manufacturers supplying the US were so pressed, there was a fix put in to shield them from unlimited liability and court claims while theoretically allowing people to get compensation for real injury: http://www.hrsa.gov/vaccinecompensation/about/index.html. It isn’t perfect. It hasn’t convinced people that the manufacture and research vaccines in the US is a good investment. Of course, anyone damaged by a vaccine would also think the process and payments are unacceptable. What people miss is that the societal result of vaccination, especially when you can produce herd immunity and help protect those who cannot be vaccinated, is worth a lot more than the downside. No endeavor comes without risk. 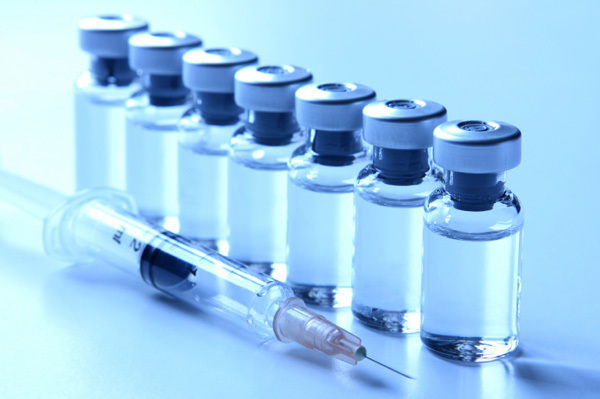 The bang for the buck in vaccines is virtually unequalled in medicine. Often a one time treatment produces a lifetime protection. It truly is one of the few “magic pills” available. Mandatory inoculations are reasonable to protect all of society. Somehow people have started viewing vaccinations as a security measure that they can easily ignore, whatever the reason. Security is something that is imposed. It is something that someone else does for you or on your behalf. It is something you do not have to pay attention to or watch out for. In the cyber world or the real world, this view is counterproductive. Cyber and real world safety need to be seen as a personal responsibility. We need to always take steps to keep ourselves and others safe. It is not something our government does or imposes upon us. It is something that we do and ask our government to support via resources and expertise. Our government cannot protect us from all of the cyber and real world viruses out there all by itself. We have to get involved, act safely, and demand others act safely as well. Great blog David. My kids are fully vaccinated. The one concern I have is what vaccines should be made mandatory? Polio, MMR yes but the flu shot? Not sure on that. Many are suspicious of drug company and government motivations. Some life saving vaccines absolutely should be mandatory. But shouldn’t others be voluntary? I gave my daughter Gardasil for example but I don’t think everyone should be forced to.